Comics Not Related To Halloween. Hey! I’m in New York, but I’ve used technology to update my website for me so I don’t miss the comics update. 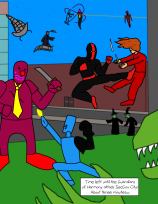 It’s Halloween, but these comics have nothing to do with that. 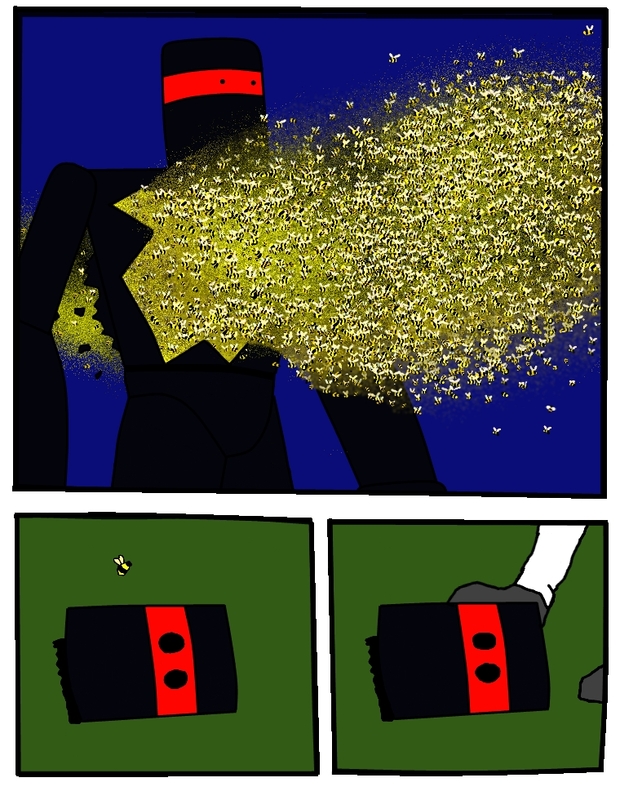 So that ends this little epilogue with the beekeepers. I intend to get back to that little plotline in the future, but we’ve an unrelated story starting next week. 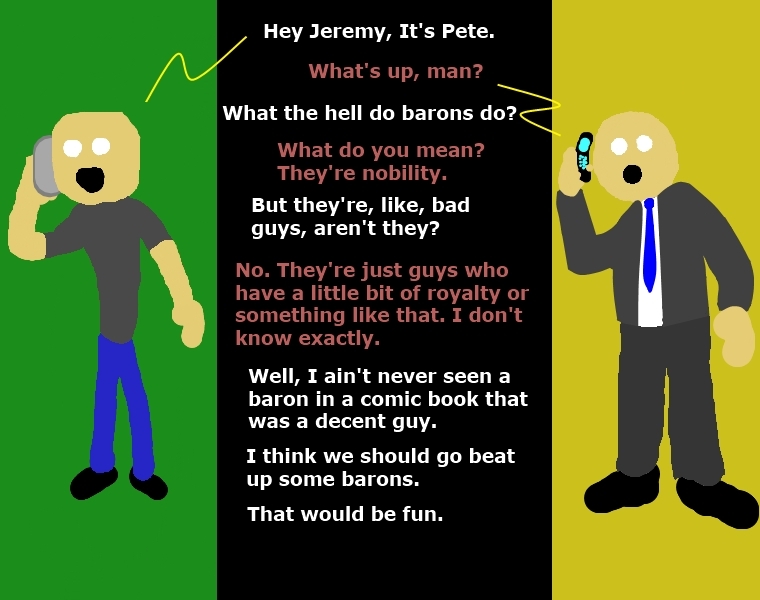 So thus begins the second batch of Phone Guys comics. 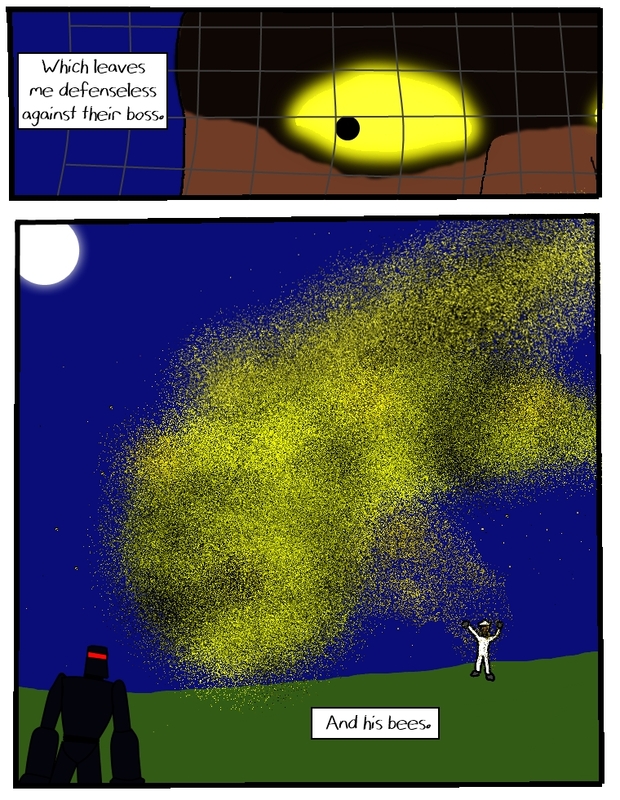 Personally I think that this batch has about five percent fewer nonsensical pointless strips than last year’s did. If we keep up that trend we could one day get it down to only eighty-five percent pointlessness! 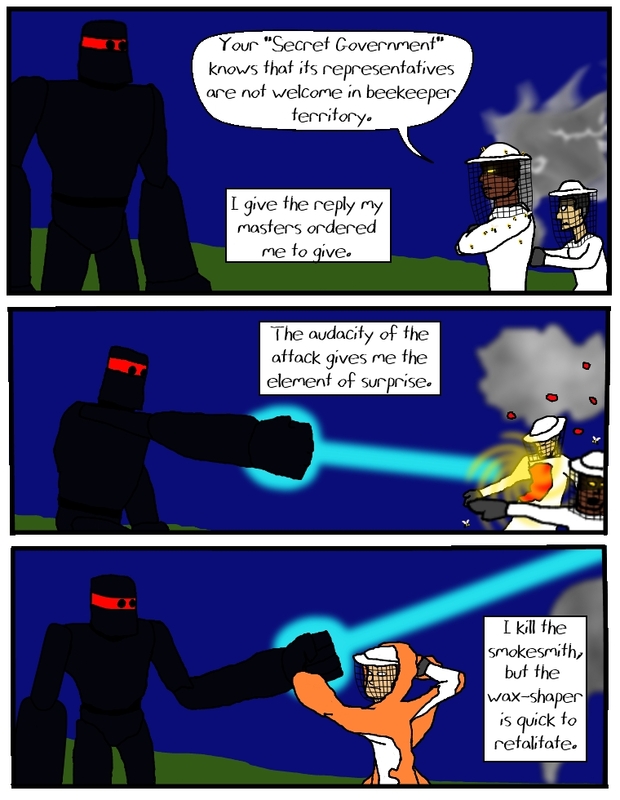 Permalinked: Comics Not Related To Halloween. Okay, I’m sure I’ve mentioned it somewhere on here, but I’m too tired to be bothered checking so I’ll just say it anew: From the 30th of this month until the 6th of the next, PDR is going to be in the New York, New York, the city so nice, they named it! I’m similarly confident that I’ve mentioned before: I’m broke. I haven’t so much got money as I have credit cards. And after this trip, even those will be maxed out. So that’s not good. When I get back, I won’t even have room to go further into debt. So why am I taking the trip? Well it’s a gift, so it isn’t a stupid thing to do. So how did I make it a stupid thing to do? Well, since I wasn’t paying for the trip, I decided that I’d go longer than usual (a full week) and then I’m paying for more hotel and thus I’ve driven up my price. You see? One downside to this trip that already occurred: I did not manage to get tickets to the Daily Show or Colbert. They were both off the table before the trip was even booked. I never had a chance. But then, out of nowhere, I found out that Conan O’Brien just happened to be doing shows in New York the very week I’m going to be there! Hot dang, I thought as I went to their website to get me some tickets. Except apparently they do this thing where you put your name on the list and you may or may not be given the tickets. Like a lottery. Anyway, I did not get tickets. So there goes that. My several ideas for free entertainment didn’t work out. I’ve got some spending money, but I’m still gonna be on the lookout for cheapness next week. Nonetheless I look forward to being back in the city where probably I should live. When I get back I plan on doing some real work on getting myself back into financial non-ruin. My goal is that in half a year I should be in a state where I can call myself not poor. So lets see how that works out. Anyway, I’m not one of those people with good technology, so probably I’m not gonna be posting much next week. Oh well. I’m sure all of you can survive without me guiding you through the Internet for that brief amount of time. If anything important happens, like if I get to pet a dog, I’ll let you know when I get back. Okay, so two days in a row I have encountered dogs that were chained up outside places of business that, when I passed, expressed an interest me. This meant I had to pet them, obviously. And since both of these times I had places to be, I wasn’t able to just sit there and pet them until the owner came back, so that means two days in a row where I got to pet dogs and not have to deal with people. It is important to enjoy the little things in life. And dogs are pretty little. Anyway, I’ve got stuff to do, so go away. What an amazing conclusion! 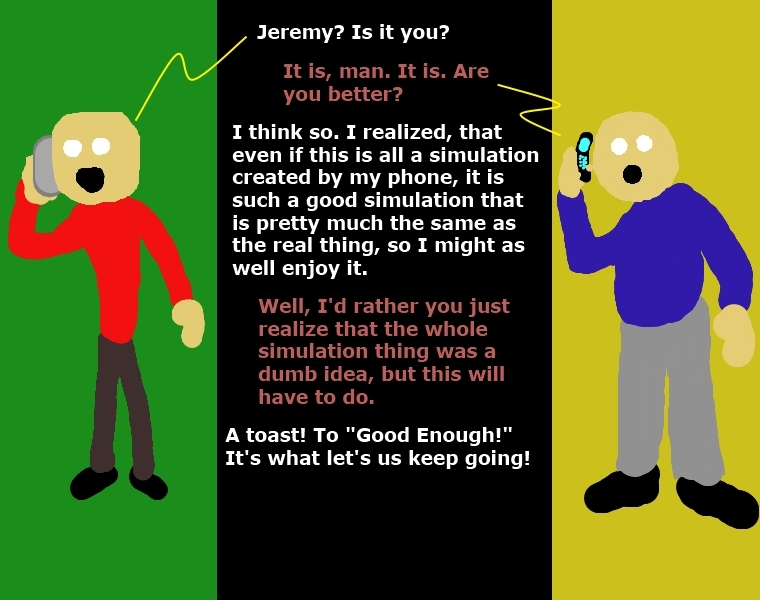 That wraps up the first year of the relaunched Phone Guys comic. I made another 52 over the last month or so, and they’ll start next week. 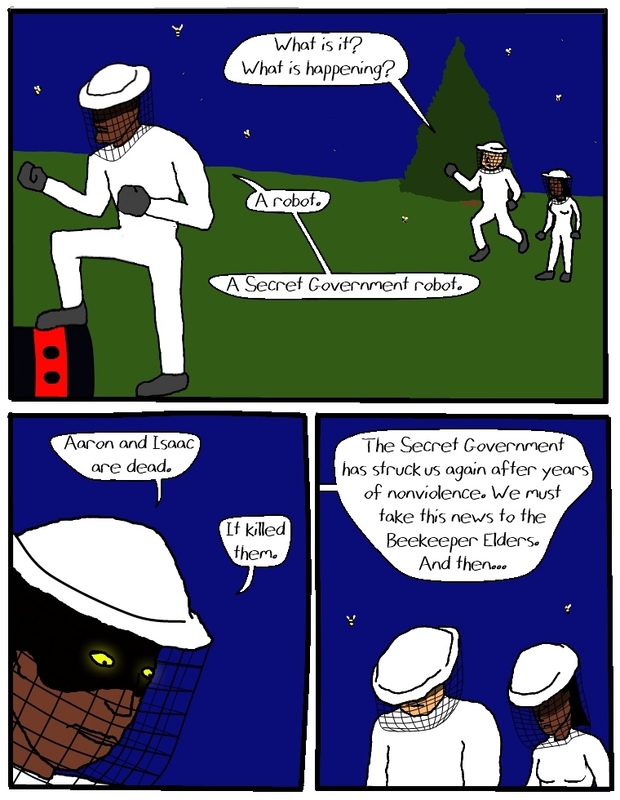 I decided it might be worth mentioning that Bertrand Black, the Secret Robot Agent who appeared on the most recent comics post was based on a sketch I did about how Robexor, a robot character who has nothing to do with the Secret Government might look. Well, I never found a Robexor design that worked for me, but I decided I liked this one enough to use it as a non-Robexor robot. But then it occurred to me that I could make a whole post about behind the scenes stuff about the strip. So why not do that? I’m into putting too much information on my website for posterity. I don’t know when I first had the idea for Secret Government Robots, but it came to me first as the title. From that I drew three robots and decided I’d like to do a cartoon about them being sent to investigate a haunted house owned by a friend of the Secret President. 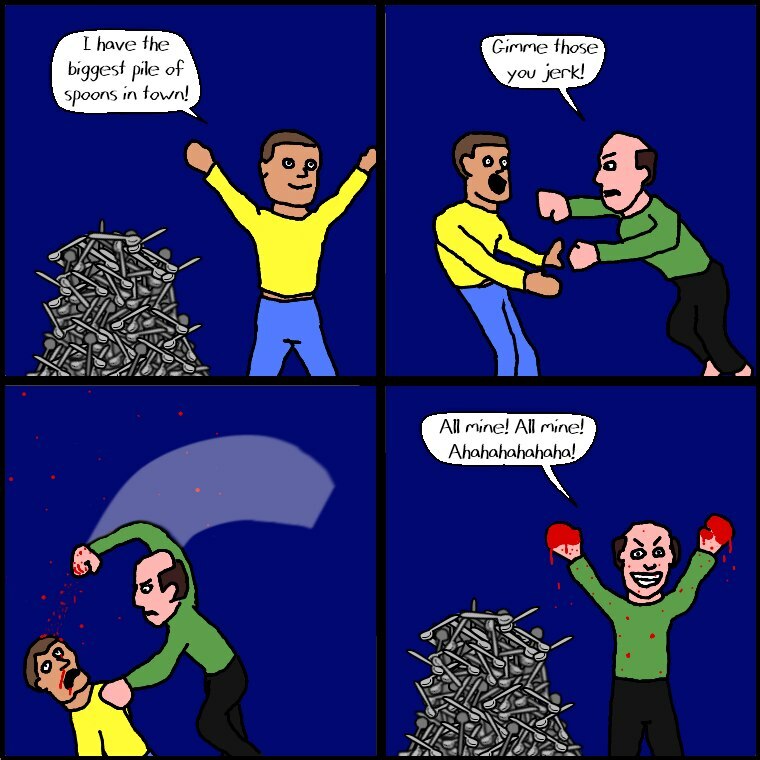 This was around 2009 and then, as now, I don’t really have a means of making cartoons. So I just sat on the idea until I decided to start it as a comic. Those three robots I drew on the first sketch became the designs for Cyril Blue, Ephraim Green, and Ezekiel Purple. (Basically I wanted one circle guy, one square guy and, one triangle guy, and that’s what I got, except then I added a ton more robots as well). That story about the haunted house became a story where Purple and the other two cadets (with whom I still tried to keep with the three shapes, though Vern Yellow and Gladys Blue were new designs) went to an apartment building that had some bad stuff going down. So in the end, I kinda actually carried through on my original idea for the Secret Government Robots. Good job, me. It only took me three years, which is less time than some other ideas. Speaking of robot designs, Stanislav Blue is a robot I drew in MS Paint at work one time as part of an image I made about National Robot Day. I still have a beat-up printout of that image, which I ought to scan for posterity sometime and when I noticed it was a blue robot, well I figured I’d throw him right in there. The prologue thing to the first SecGov story introduced us to Reg Lincoln. Although Reg was a new character (albiet with pictures I took years earlier, one of which I’d used before), the Lincoln family and their cursed connection to the supernatural has been something I’ve tried to work into stories since around 2001, though I don’t think one of those had turned out until this. I do know that I have at least two half-finished comic scripts in my filing cabinet about Reg’s cousin. And I think I tried to make a choose-your-own-adventure about him once too. That prologue also introduced the Empties, the monsters who hang around in Transuniversal Space. Those guys I first drew way back, I’m gonna guess around 2003 or 2004, in a sketch I did of Dude Cyborg (a character designed by Marq and I who we have done not a thing with). And finally, the beekeepers from last week. 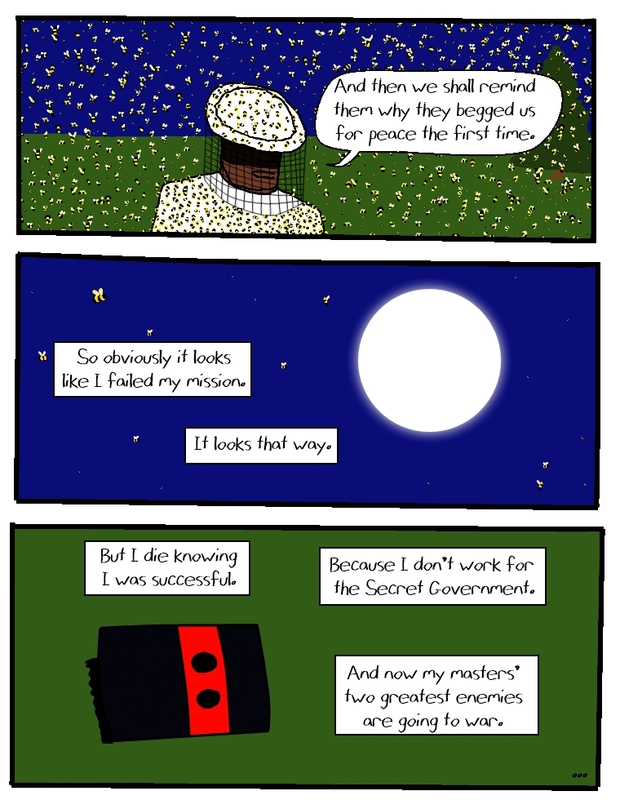 I’ve long wanted to make the world see beekeepers as the badasses they are (the earliest evidence I can find on the site of this comes from an offhand reference in 2007), and that image on the last page was originally drawn as a sketch for my own amusement which I decided to work into a SecGov story. For the record the beekeepers story is only nine pages long and I did it all while I was getting tired of that super-long story that ran most of the year. And when the beekeeper story is done we’re going right into another story which will include at least three robot designs from older drawings as extras, and also a character will show up who would have been the main character in some other webcomic idea I had, but now he doesn’t get to because I’m doing this comic instead. So there you go. Now you have too much information and I have a post for my website. You may now continue not caring, and I’ll continue using SecGov Robots as a place to finally get long-lasting ideas out of my brains and my filing cabinet.